With most of our Taupo fishery waters quiet with anglers at the moment and indeed most of the back country waters I thought it might be a good time to bring up that touchy issue of sharing water with others or fishing with crowds. The Taupo fishery and Tongariro will as usual become a very busy place with anglers as they all try and catch spawning fish over the winter. 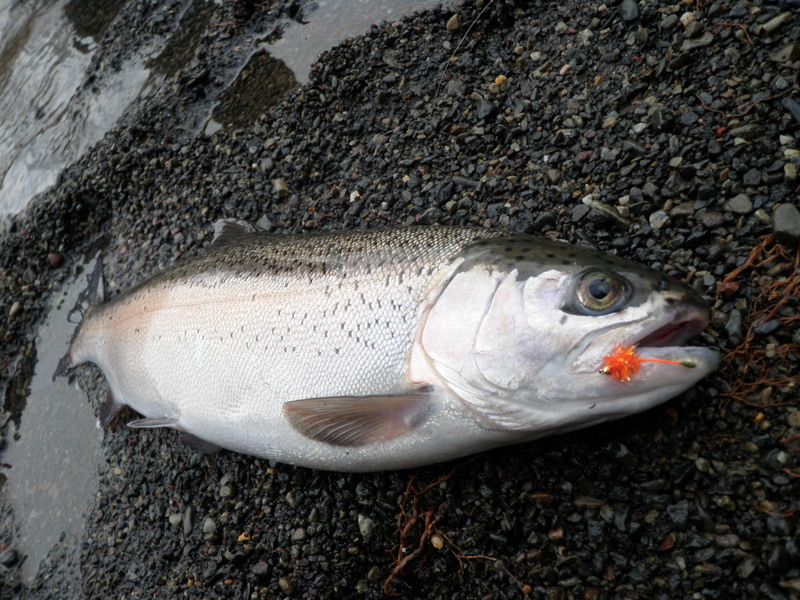 The spawning runs are well documented and there is enough information out there these days for most of us to recognize the prime time to target these runs of fish. With such information available and the experience of hundreds of fly fisherman it is a fare chance that if you are targeting the winter months you will be fishing with other anglers with the same idea as you and your party. ThereÂ is no reason why this should be a stressful time toÂ visitÂ the river and one that you would rather have stayed home for because if everyone respects each othersÂ efforts in getting there and asks what the next persons plan is there should not be any miscommunication.Everyone loves to have the river or pool to themselves but with world population increasing the way itÂ is were just going to have to get used to sharing water. 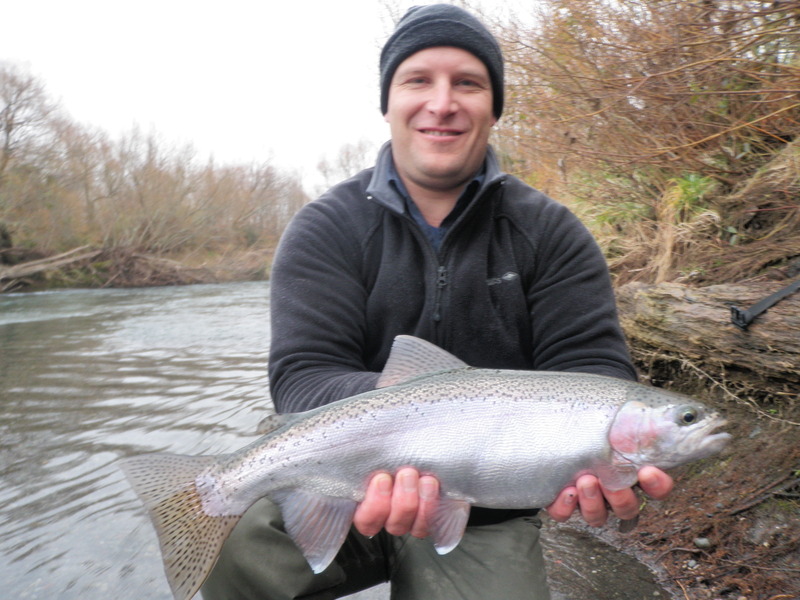 I have seen arguments, fisty cuffs and the rude fingers flung in the air many a time while enjoying a morning on the river which with a little consideration or talking between anglers like grown up’s could have been easily avoided. I hate getting back to the motel or camp and hearing of an angler that has had a bad morning because someone had pushed in front of him and wouldn’t move. Quite often I will ask if he communicated with the guy to see what his plans were and usually the answer was “no” maybe this chap is from another country and has no idea about etiquette on the river??? Many of theseÂ bad experiences can be prevented by just simply finding out what the angler who you are fishing near is going to do. We are all fishing for many of the same reasons weather it be spending time with the kids, good mates, fresh fish for the smoker, sport, scenery or simply escaping the pressures ofÂ a busy corporate job in the city and don’t wish or want to feel intimidated or be hassled by up tight arrogant anglers who bring their problems to the river. If everyone picks up the brochure on the river etiquette and sits down and takes the time to flick through it the night before we all should have the same frame of mind in the morning. 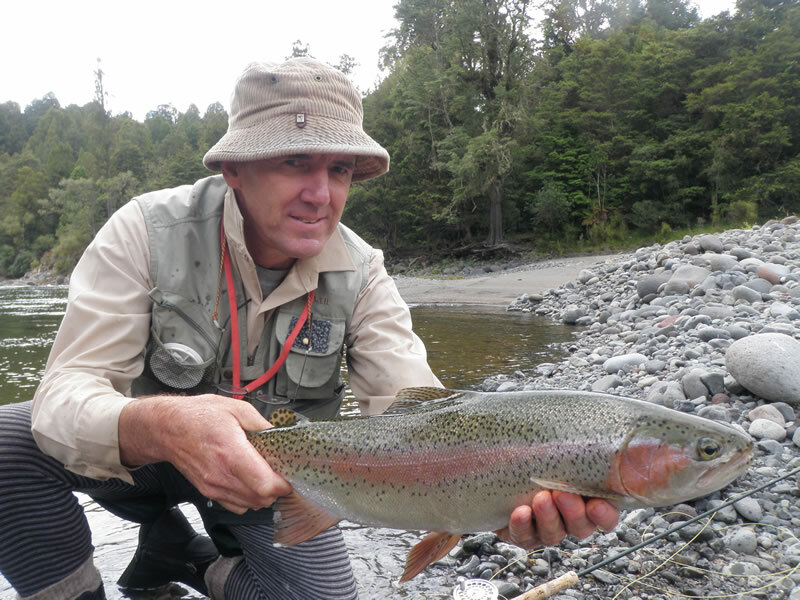 Booklets or brochures can be found in most tackle stores in Turangi, on the web and at Ross’s motel and are a handle little read to have to those who don’t fish often. 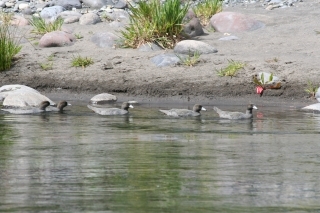 AsÂ a guide I am on the river probably more than most and see crowds of people in different light depending on if I have clients or I am simply fishing alone for my pleasure. I would never line a client in behind 3 other guys in the Major Jones unless I was absolutely desperate for water but if I was by myself I would jump in behind them with a competition in mind. 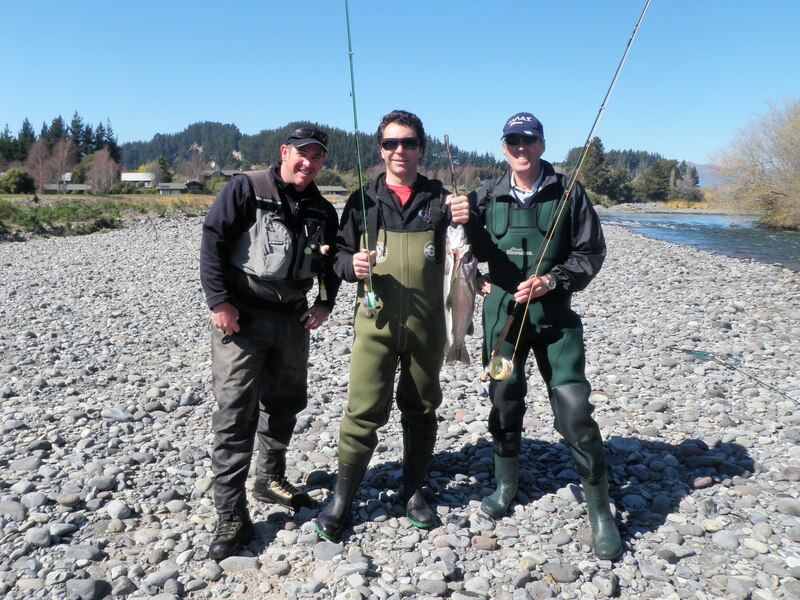 I love fishing withÂ other guys especially if you get a chatty bunch which have all a good understanding of what they are doing and moving through regually giving everyone a cast at the entire pool. There is no better feeling than pulling a fish out from behind another angler that has just told you that the pool is empty and fishery screwed-ALWAYS fish with confidence! While guiding I will try and beat the crouds by either starting very early with my client or fishing places which I have discovered over time. 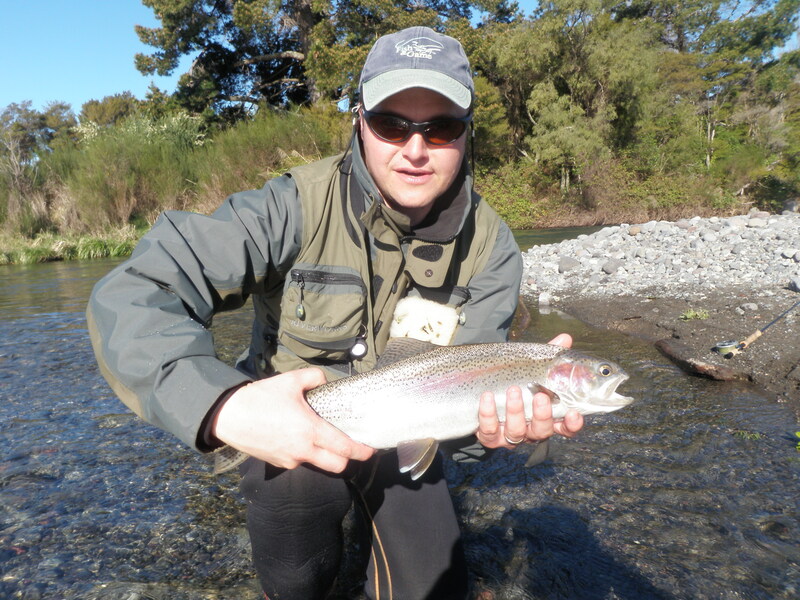 Clients like to fish alone as they sometimes expect you to take them to a spot which no one has ever found and with their first cast they will be seeing the backing of the fy line appearing on the reel but as you know no such place exists on the Tongariro. Quite often clients like to be alone because they are simply trying to learn the art of casting and don’t need to pressured by anglers moving through the pool or watching from a distance laughing with their mates as the guide unhooks it out of ones back. We all from time to time have to ask the next bloke to un hook something from somewhere we did not mean for it to end up. Unfortunately attitudes towards guides in NZ is not always positive and this really shows in the winter months when fishery’s are already busy with local anglers.I have heard and read all sorts of negative views towards guides with statements like “Guides are popularising all my favourite places”Â Â ” Guides are overfishing our waters”Â Â Â “Getting a guide is cheating”.Â Think about how you got to know of your favourite little place. Did someone tell you? Read about it? Find it on a map? Internet? or did you read a guides BLOG? Nearly every fly fisher I know has been coached and coaches others whether it is from our fathers , uncles , mates or friendly strangers and we learn from these people without worrying about it. Why do so many fly fishers get up tight at the thought of someone taking advantage of a professional teaching them. Even Tiger Woods acknowledges the importance ofÂ coaching to improve his game and more importantly to increase enjoyment of it! Generally, guides don’t fish,their clients do,and why a guided visitor should be less tolerated than an unguided one is beyond me. It took me years to gain the knowledge I’ve got today and I value it because of that. The great majority of guides and clients who fish public water abide by all the same regulations and access laws as the rest of us. The last thing I want top do is get handed a tresspass notice with a court date attatched in front of a client. Trout fishing is my life and it still gives me plesaure and excitement to pass on my knowledge to my family , friends and strangers. I also realize the value of other experienced guides and fisher folk as I see myself learning from them on every occasion. Isaac Newton’s famous quote “If I have seen a little further than others,it is from standing on the shoulders of giants”.